If you’ve been to Argentina’s capital city, you’ve surely noticed the bumble-bee black and yellow taxis, and probably taken at least a few. With over 40,000 cabs in town, the BA taxi driver is a staple character in the city, and will often be up for a good chat. We caught up with Dario Wigodzky, who has driven taxis for over twenty years, who gave us a peek into life from the driver’s seat. How long have you been driving taxis? I’ve been driving taxis since 1991, and celebrated my 22nd year in this profession on July 3rd. Congratulations on your long career, Dario! How did you become a taxi driver? I chose this career basically for the freedom of choosing my of hours and the independence that it gives me. I was young (just 22 years old) when I started. And I get to be my own boss! Are you part of any union or company? Yes. In the first few years I worked independently, then after a while I decided to become a Radio Taxi, which has improved my income and offers me more security. You certainly get to see the city from a unique perspective; what do you think of Buenos Aires as a place to drive? What are its best and worst traffic laws or situations? Driving in Buenos Aires is no easy job. We [Argentines] are very imprudent while driving and traffic gets worse every year…my years of experience help me endure the situation pretty well. The most relaxed driving situations are when I move through the zone we call “el bajo” (the streets close to the river), like Libertador Avenue, as traffic flows as best as possible, or when I work on Friday nights, since it’s much more laid-back. One of the worst driving situations occurs in downtown intersections, where cars and buses often stop in the middle of the intersection while crossing, producing blocked streets. Also the “piquetes” (protests that occupy streets) on many occasions, I consider abusive. What are the most popular destinations that travelers ask you to go? In the morning, the majority of trips are to the City Center. During the day, I circulate a lot in the center, and busy areas like Palermo, Barrio Norte, Belgrano, Caballito and Flores. On Friday nights the majority of journeys are to the zone with all the bars and night clubs. Tourists prefer to go to La Boca, Puerto Madero, Plaza de Mayo, Recoleta, Palermo Soho and Palermo Hollywood. Which area of Buenos Aires is the most confusing to maneuver? The most complicated neighborhood is called Parque Chas, because its streets are circular and getting in is easy but getting out of the labyrinth is complicated. Any streets or corners you avoid or refuse to drive to? Not usually. In some cases I refuse to take passengers who I consider “suspicious”. Which is your favorite barrio (neighborhood), and why? I don’t think I could choose among the hundred porteño neighborhoods…but the southern part of the city, (Pompeya, Parque Patricios, Barracas, La Boca, etc.) the most old and popular parts, seem to me the most representative of the city and those with the most history and porteño spirit and tango spirit. 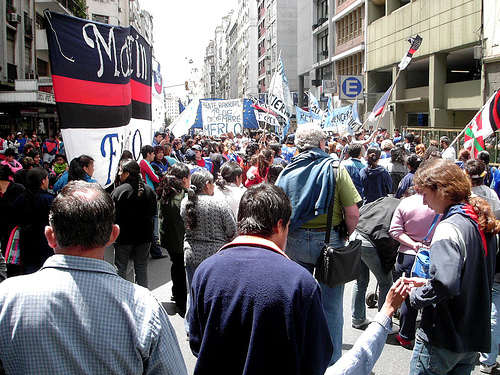 Their streets speak to our identity as inhabitants of the city of Buenos Aires. If you could give a tourist in Buenos Aires some advice, what would you tell them? I’d recommend that they not only do the traditional tourist things, but that they go more to the neighborhoods I just mentioned, which I think would transport them to the real spirit of our beautiful city. I’m sure you’ve had some interesting people step into your taxi — could you tell a story about your most memorable client? In 22 years I have a lot of anecdotes, some difficult to tell in an interview…but if I have to choose just one, this one occurred about 2 months ago and concluded last week. 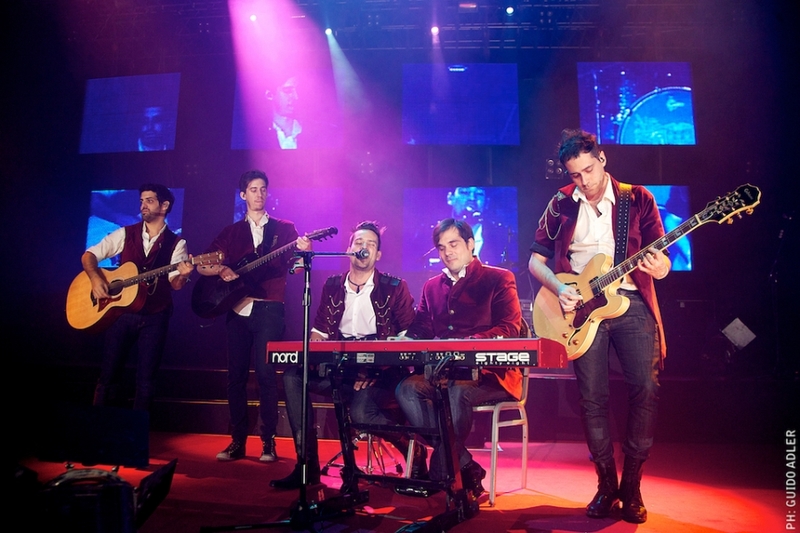 A passenger asked me to take him to the Aeroparque and after a long chat told me that he is a music producer for a very famous Argentine band called Tan Bionica. I told him that my son Nicolas, who is 13, is a big fan of the group, and he invited my son and I to a show that would take place 2 months later in Luna Park Stadium. He left me no more than his last name and the door where he could be found. Last Saturday we approached the stadium (I must admit with very low expectations, my son was more optimistic, of course – he’s 13) and what a surprise, there was the passenger, who fulfilled his promise to invite us to see an excellent concert, from a very privileged spot, which we enjoyed exceedingly. A lot. Futbol players: El “Pato” Fillol, the goal keeper from the Argentine World Cup champions of 1978. Singer Maria Marta Serra Lima. World champion boxer Jorge “El Roña” Castro, who gave me a boxing lesson during the trip. What’s the strangest thing you’ve been asked by someone riding in your cab? A transvestite once offered to exchange his sexual services for a cab ride. I didn’t accept. Which radio station do you listen to while driving? Any particular songs or albums that you think best accompany your journeys through Capital? In the day time, my favorite station is 95.1 Metro, they have a general interest program in the morning and another in the afternoon which are very funny. At night I choose classic songs from bands like Queen, Phill Collins, The Police, etc. Where’s the best place to stop and have a coffee or eat and chat with other drivers? I’m not the kind of driver who stops much during the day to chat with my colleagues, but I have a few good places in different neighborhoods where you can enjoy the best chorizo or proscuttio sandwiches. Some are on the costanera sur or costanera norte. 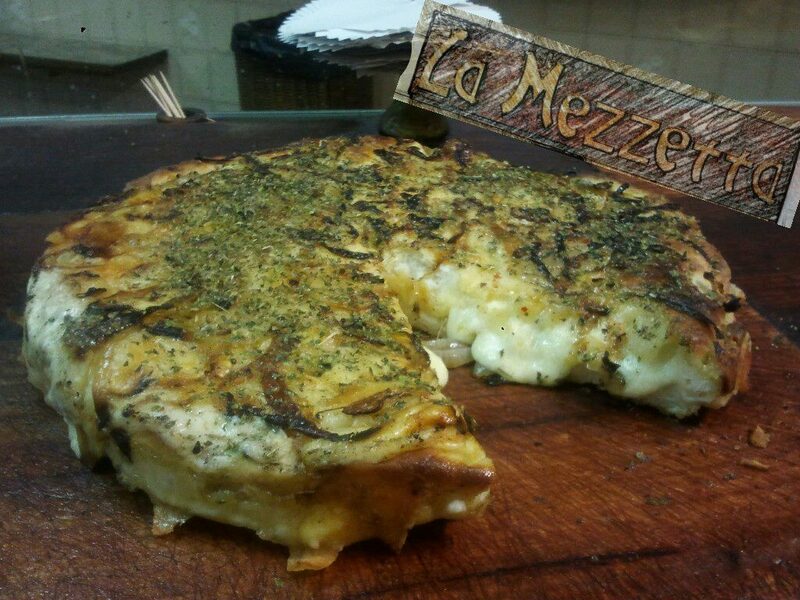 Also, there is a traditional pizzeria in Buenos Aires called La Mezzeta in Chacarita, that has in my humble opinion the best fugazzeta (traditional cheese and onion pizza). That place I save for Friday nights. 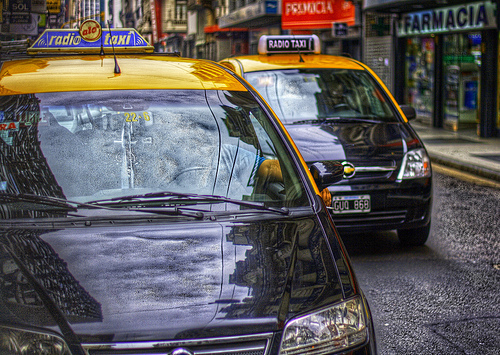 Are there any good myths or legends about taxis and taxi drivers in Argentina? What’s hanging from your rear-view mirror? Thanks for your time Dario! Apart from his normal work as a cab driver, Dario does transfers to/from Ezeiza International Airport. If you’d like to get a hold of him, you can send him an e-mail at [email protected] or better, WhatsApp at +54-9-11-5343-8010. And if you are an interesting expat or local in Buenos Aires and would like us to interview you, feel free to get in touch and tell us why.